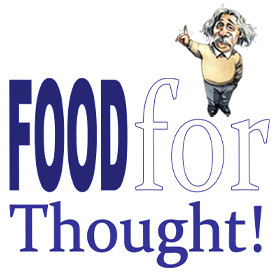 Home Dan Traucki Articles Thoughts On China…. It is 11 years since I first became involved in exporting wine to China. In that time the pendulum has swung from a significant lack of interest by the Australian wine industry, to it being almost an obsession. In the early days, people’s eyebrows would rise when I mentioned shipping wine to China and some even laughed, whereas today almost everybody is an “expert”. 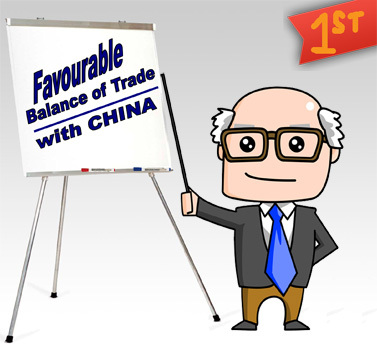 FIRSTLY: We are one of the very few countries that have a favourable balance of trade with China. Last year out of the around $140billion worth of bilateral trade, two-thirds was exports from Australia and only one-third was imports from China. Admittedly most of the exports were raw materials to fuel the massive expansion boom in China, but at least the ledger wasn’t in the red like it is for so many other countries that trade with China. When it comes to capital investment the numbers are just about even, with Australian investments in China amounting to a tad under $30billion whereas China has a bit over $30billion invested in Australia. Thus despite all the rumour-mongers, the Chinese aren’t “buying up the whole country” like the Japanese supposedly did in the 1980s. 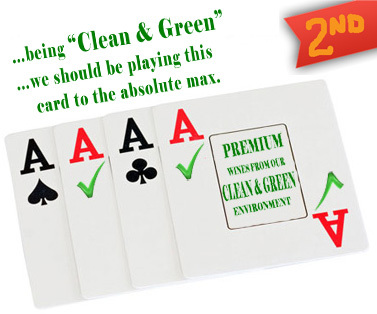 SECONDLY: We have a very positive image in China of being “Clean & Green” which is especially beneficial to the wine industry and we should be playing this card to the absolute max. As part of this, our Federal Government should be in discussions with their Chinese counterparts with regards to counterfeit wine. The only way that we can enlist the assistance of the Chinese Government in curbing this problem is to make them aware of the “food biosecurity” issues of counterfeit wine and the likelihood that eventually some of their citizens will die from drinking “phony” wine. Hopefully it won’t be imitation Australian wine that causes the first fatality. It is not feasible for Australian wine companies to individually take legal action against the counterfeiters within the Chinese legal system. THIRDLY: our present Federal Government seems to have the drive and determination to make a Free Trade Agreement (FTA) a reality at long last. Negotiations started seven years ago, and in that time Chile started negotiating with the Chinese two years after us and signed their FTA nearly two years ago. 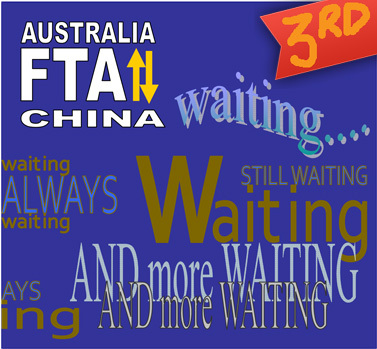 The FTA not only will mean a progressive reduction in the import duty that Australian goods pay as they enter China (wine is currently at 48% duty) but it will also mean simplified rules and regulations for transactions between the two countries. This could result in China Customs being more in tune with Australia Customs thus making the importation process less onerous than it has been up to now. China Customs are probably the most pedantic and challenging customs service in the world to deal with at this point in time. In the last eight years they have had 22 amendments to the Customs Act, which in itself makes dealing with China quite a bit more challenging than dealing with those countries which have stable customs regulations. In general terms an FTA usually results in a 20-40% increase in trade between the two countries involved. FOURTHLY: China is developing very rapidly, considering that a mere 60 years ago, their citizens could not own anything other than the clothes they wore. Those who achieve a degree of financial success want to display their new found wealth/success and this usually manifests itself in displays of “western-consumerism” which includes having a flash car and drinking wine. Slowly but surely wine is becoming an integral part of China’s lifestyle. They already produce more wine than what we do, and in the next Five-Year-Plan (yes it is still a Communist country) the area under vine is set to increase by a further 40-50%. By 2020 China plans to raise the urbanisation of its population from the current 50% to 70% (that’s an extra 240 million city dwellers). 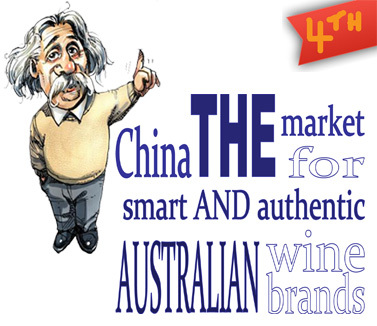 These sorts of statistics make China THE market for smart and authentic Australian wine brands to invest in for their longer-term futures. 1. Deliver true and lasting value: Whilst the French First Growths have been a symbol of social superiority in Chinese circles – the rise of educated wine drinkers and the incidence of forgery, is opening up the path for premium quality wines from Australia with wealthy consumers who are more demanding and pragmatic than ever before, as they seek true value for themselves rather than the values arbitrarily foisted onto them by others. This is and will be a long term proposition rather than a short term sell strategy. 2. 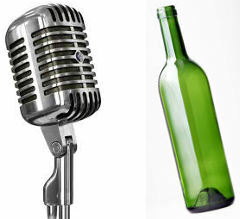 Reassure: There are probably almost as many dodgy bottles of wine in China as there are authentic quality ones. By dodgy, I mean not just counterfeit bottles but also flashily packaged bottles filled with mediocre plonk. Knowing the Chinese penchant for status and image, some wine producers have packaged up very ordinary quality wine in flash packaging hoping to make a killing over there. Therefore, real brands need to provide Chinese consumers with authenticity which in turn provides them with reassurance that they are making the right selection. 3. Be recognizable: Just like here, there are hundreds of wine labels and brands on the shelves of Chinese liquor outlets and hypermarkets, not to mention the myriad of choice online (China’s favourite way of shopping). This makes clear and distinctive labelling all the more important, especially if you can have some graphics which transcend the language barrier. They don’t necessarily have to be “critter” graphics, but something that consumers can relate to and remember in Chinese. Here again, especially online reviews and medals, become very important, more so if they are won in Asia at events such as DAWA – Decanter Asia Wine Awards. CONCLUSION: It is a challenging task to adapt and position ones wine brand for the Chinese market. The market is scary, complex and constantly evolving making it even harder than any previously attempted export market. However, with around 5,000,000 people entering the middle-class each year and China’s love affair with western life style and values, including wine, there are huge long-term opportunities for quality wine brands that adopt the right strategy to build a long-term brand in China. At the same time here in Australia, more and more wine is being made and sold (approximately 75-80%) by the evil duopoly of Coles and Woollies, who are harder to deal with than most Chinese – food for thought!